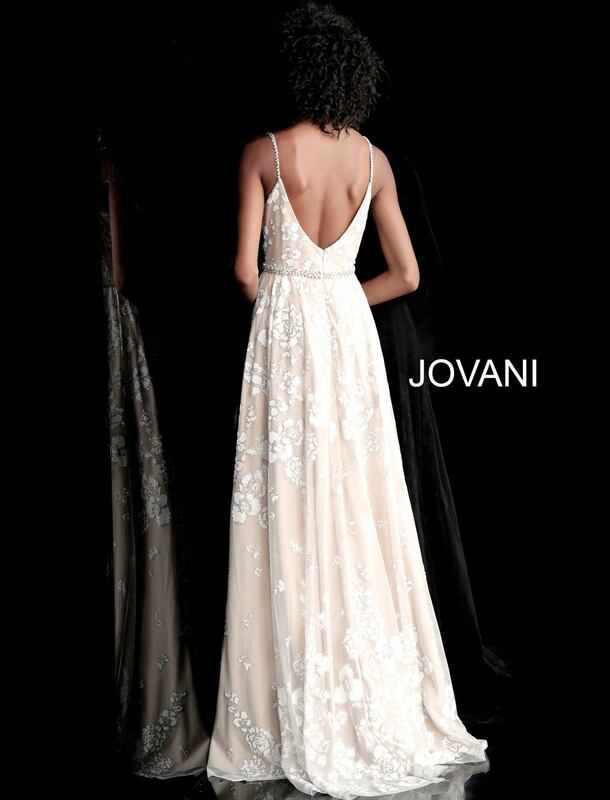 Look oh so graceful while wearing this Jovani 66348 lace dress. This dress has a v-neckline and thin straps. The back is slightly open and has a zipper enclosure. This dress will move and flow with you as you walk. It is completely lace and there is a slit going up the left leg.